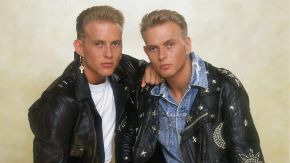 BROS are coming ‘home’ to South London to play a very special show at O2 Academy Brixton on Friday 5th July 2019. Matt & Luke Goss performed their comeback after nearly 30 years last year at two sold out O2 arena shows in London. Before that they had not played together since 77,000 packed into Wembley Stadium on August 19th, 1989. BROS have been riding high from the success of the movie BROS: After the Screaming Stops, which was a runaway Christmas success after it was shown on BBC. Matt began his solo career in 1995 and has sold over 5 million albums, performed at his Las Vegas residency at Caesar’s Palace and now at The Mirage for over 7 years. He has headlined Wembley Arena, The Royal Albert Hall, the London Palladium and the Sydney Opera House and played at The White House. Luke is enjoying a hugely successful acting and directing career in both film (Hellboy 2, Blade 2, The Man,Traffik, Deathrace 2&3) and TV (Red Widow and Emmy award winning mini-series Frankenstein), and more recently The Last Boy.